The areas visited and destinations include Kwazulu Natal,Eastern Cape, Southern Cape which includes the Famous Tsitsikamma Forests and then Cape town in the Western Cape. All these are totally safe areas, and include full security at each destination. The tour provides for sufficient leisure time each day between elephant tours, during which you can laze at the poolside or relax in one of the luxury lounges of the lodges at which you will be staying. Topographically, the reach is viewed as a monocline; part of a fractured volcanic edge. The Lebombo monocline strikes N-S and plunges toward the east. It is made out of a grouping of Jurassic-age volcanic rock, both basaltic magmas and rhyolitic streams and tuffs. The grouping lays on basically even Karoo Supergroup sedimentary rocks of the Kalahari Craton toward the west and is overlain by Cretaceous to late residue toward the east. The substituting safe rhyolite and effortlessly disintegrated basalts create a progression of parallel sharp cuesta edges isolated by savanna fields. The extent is generally low with statures somewhere around 450 and under 800 m. The most astounding top is 776 m high Mount Mananga. The 480 m high Longwe is the most noteworthy point in the Lebombo Range north of the Letaba River. The mountains command Lubombo District in Swaziland. 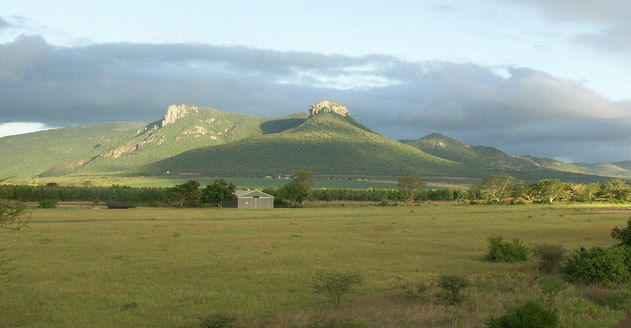 Towns in the region incorporate Siteki in the middle, Lubhuku in the west and Mayaluka and Big Bend in the south with the Lusutfu River running past the southern area of the mountain range. At the north lie the towns of Simunye, Tambankulu and Namaacha, and the Mlawula Nature Reserve and also the Mbuluzi River. Various streams, including the Pongola, Mkuze, and Lusutfu, cross the mountains from west to east. The name of the mountains is derived from the Zulu word ubombo signifying "big nose". Onboard the Shayamanzi Houseboats you can sit back and really take in the amazing scenery of the Lebombo Mountains and the wildlife of the Pongola Game Reserve on the shores of Lake Jozini. 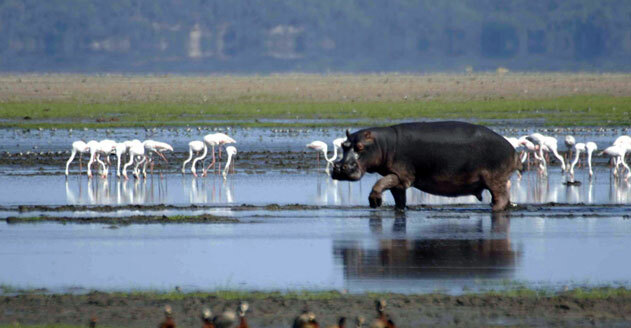 Here you can enjoy the splendid serenity of the open Lake Jozini, the thrill of Tiger Fishing or the adventure of Mountain Biking in the heart of the Zululand bushveld. Shayamanzi is all about time to appreciate Africa’s special wonders. 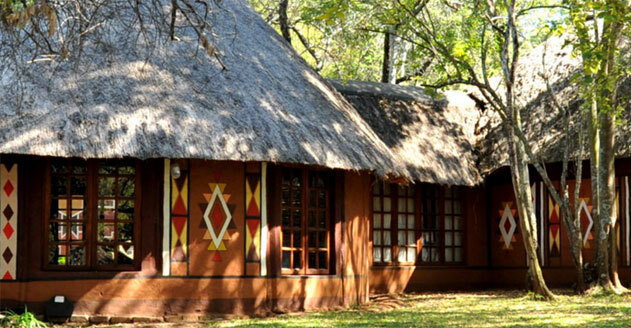 Royal Thonga Safari Lodge, a dream of the local community, private investors, and the Royal Tembe Development Foundation to create a natural paradise for visitors to this unique reserve. The lodge is architecturally designed to emulate the local Tonga building style, and each of the fourteen chalets uniquely positioned to offer guests total privacy and luxurious comfort within a sand forest in Tembe Elephant Park. 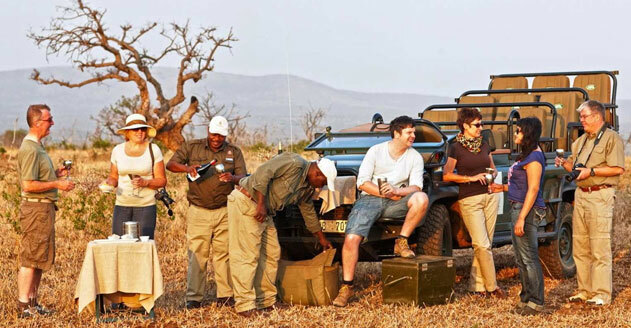 Thanda Safari offers an authentically South African wildlife experience, matched with a sincere commitment to the Zulu culture and passionate conservation of the environment. Meaning ‘Love’ in isiZulu, Thanda is a proud member of The Leading Hotels of the World and multiple winners of World’s Leading Luxury Lodge. 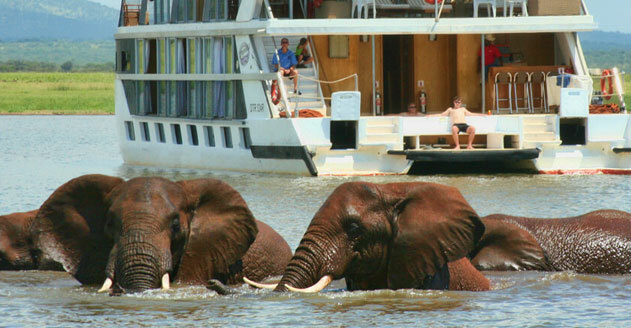 It is known for meaningful safari experiences and exclusive close-up encounters with Africa’s magnificent Big Five. 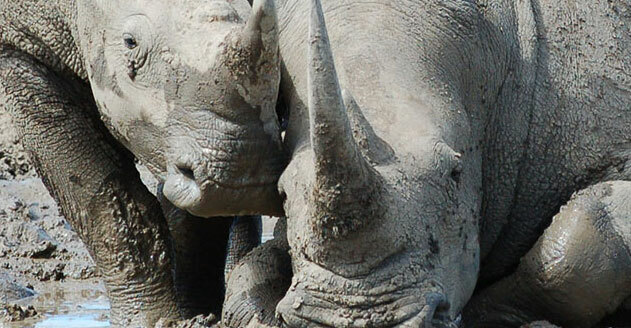 The Zulu name Thula Thula literally means peace and tranquility. Thula Thula, with its centuries of cultural and wildlife heritage, takes pride in tracing back it's origin to the private hunting grounds of King Shaka, founder of the Zulu Empire. The first historic meeting between Shaka and his father (Senzangakhona), which set the stage for the creation of the Zulu Nation, took place at the Nseleni River at Thula Thula. Visitors to the park are privileged to have a personal encounter with our gentle giants, and leave having gained a new-found respect for these animals, as well as a better understanding of the African elephant and its plight across the continent. Most importantly, by visiting the Park and experiencing our elephant herd, guests make a direct contribution to elephant husbandry and care. Visitors to the Park enable us to give our elephants the best possible facilities, nutrition, and care. They also allow us to offer other elephants in need the chance of a better life. Table Mountain, the official welcome to Cape Town. Whether you are arriving by plane, train, boat or automobile, is the iconic Table Mountain, one of the 7Wonders of Nature. Looking at it from below is one thing, but it is quite another to be atop the mountain, from where one is afforded such wonderful views of Cape Town, Robben Island, the Peninsula and beyond. 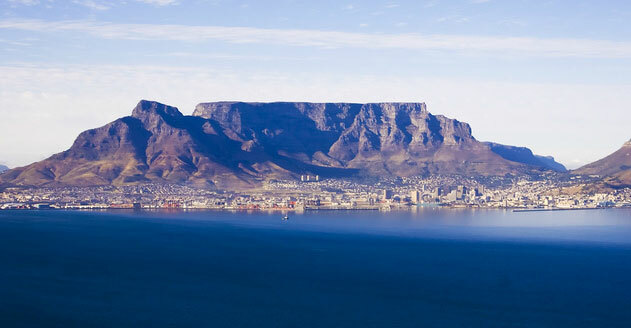 Table Mountain is a flat-topped mountain forming a prominent landmark overlooking the city of Cape Town in South Africa and is featured in the Flag of Cape Town. It is a significant tourist attraction, with many visitors using the cableway or hiking to the top. The mountain forms part of the Table Mountain National Park. 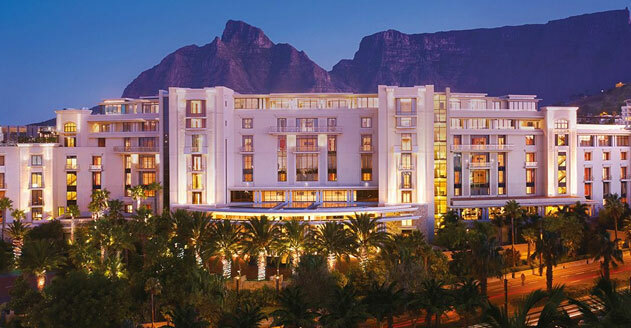 Look out to captivating views of Table Mountain. Let your curiosity draw you over to a lush private island where tranquil and secluded spa treatments await. Engage your palate with the celebrated cuisine of local chef Reuben Riffel whose creations draw on historical influence by combining Cape Malay spices with Dutch and British fare. Explore Japanese dishes infused with Peruvian ingredients, as re-imagined by global fusion-master Nobuyuki ‘Nobu’ Matsuhisa at his first African restaurant. Allow Cape Town’s natural reserves to refresh your perspective. Wander through the wine country, like the magnificent Franschhoek Valley, South Africa’s food and wine capital. In Stellenbosch, sample Merlot, Pinotage, Shiraz and Cabernet Sauvignon, the region’s most cultivated grape. 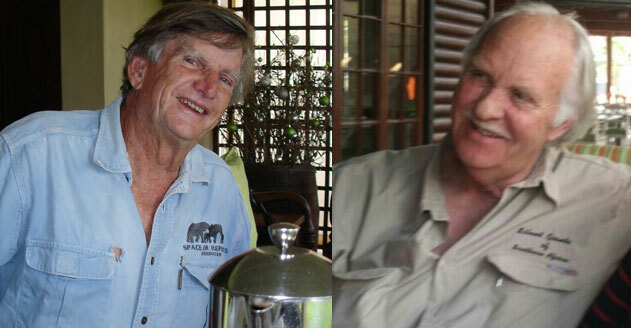 During the whole trip guests will be accompanied by a highly experienced and knowledgeable elephant tour guide. A portion of the income from these tours will be used by Space For Elephant Foundation to assist with the various projects SEF are involved with. 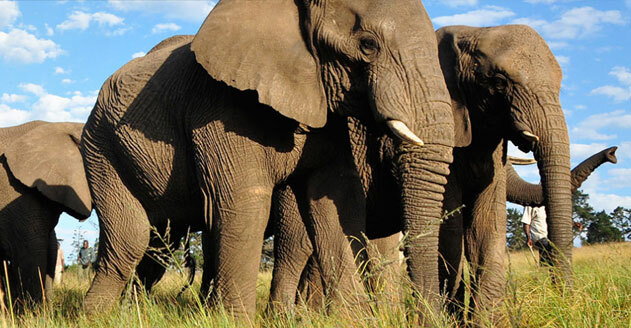 The balance of surplus funds will contribute to the Seismic Research on elephant communication. All expenses, flight tickets in South Africa, accommodation, meals and auto transfers and safari trips are included in tariff.